Starting with the iPhone Xs Max, Soomal will adopt a new scoring system in the screen assessment of mobile phones. Today, the screen scores of 9 mobile phones will be added to comprehensively score the technology, performance, features and usage experience of the screen from the experience and professional color, giving readers a more intuitive and simple experience evaluation. 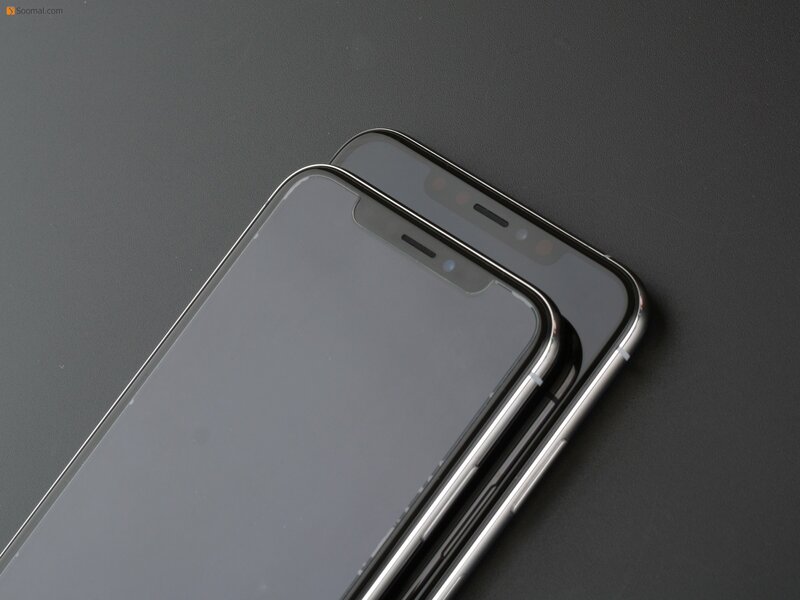 At present, the screen scoring mechanism is in the trial operation stage, so the performance of each model will be adjusted as the scoring standards and means are improved, and the expression of the intuitive experience will be optimized. Experience: Galaxy shows the consistency and the edge color of the curved screen on S9. The gray-scale error value of the upper and lower areas of S9 is negligible. The dispersion control of S9 in the bent part is better than S8, under the all white background. The corners are mainly relatively dark, and the red and green are not obvious. When the brightness bar is below 40%, the PWM flashing of the S9 screen will start to become apparent. In outdoor performance, the S9's automatic maximum brightness is 659 nits, and the peak brightness is close to 1100 nits [when the screen content highlights below 40%]. Compared with the S8/S8+ with a peak brightness of more than 700 nits, it has increased by more than 20%, and it is comfortable for outdoor lighting and video recording. At the same time, it is also more suitable for remote control of large-scale UAVs and other applications that require outdoor glare [Dangjiang's handle clip size is too small, larger models cannot be installed]. Professional color: In the grayscale and color grade results, the Galaxy S9 has significantly improved compared to last year's flagship S8/S8+ and Note8. The color dynamics of the preset cinema mode and sRGB mode are obviously better, and the color temperature is closer to the D65 standard. At 6500K, the overall gamma value is also closer to the 2.2 standard. At least when displaying the same photo, the reference for color and contrast is improved compared to the S8+ and Note8 in our hands. In the AMOLED theater mode, the color coverage of the S9 can be displayed far beyond the standard P3 color gamut, covering 76% of the BT.2020 ultra-wide color gamut, which is also the highest color level of the current production phones, for HDR content. For video with 10 bit depth, the color display is also more good. Experience: Galaxy Note 9 instantaneous peak brightness can easily exceed 700cd/m2, and can be stabilized at 600cd/m2 under automatic brightness. The viewing angle and glass permeability have always been the advantages of Samsung Galaxy series mobile phones. No significant discoloration on the top. Whether in Cebu or Beijing's sinister sunshine, it can maintain good graphic readability. This is also very important for outdoor camera and video application experiences. In mobile applications, in addition to the basic mode, the warm tone overflow and glare of the other modes will be more obvious. Regarding the dispersion, color distortion and other issues brought by the edge of the curved screen, Note 9 is basically the best solution. The curved part has almost no obvious dispersion and color cast in the front view, but there is some brightness on both sides of the screen. The attenuation will be grayish, and the flashing of the PWM will be relatively obvious below 50% brightness. Note 9's S Pen stylus uses a Bluetooth connection, which is close to the previous generation in terms of feel and delay. The slowest delay is about 50 milliseconds. Of course, for those who need to type on the phone with a stylus, this passive root The feel and fluency of the pen is good. This business-oriented model maintains the same level of performance as the Galaxy S9/S9+ in the first half of this year, with excellent color and contrast performance, and is satisfactory for outdoor use, video playback, and VR and AR applications. Professional color: This Korean KT version of Note 9's grayscale performance and a keen version of the KT version of S9+ sent by a local enthusiast have similar problems. Under standard brightness, Gamma is lower than 2.2 standard level, plus various preset color modes. The color temperature is lower than the 6500K standard, so the photo color performance is not as strong as the mainland China version version S9, and the overall indicator is slightly weaker. The sRGB mode is useful for photo color reference. The color coverage and color are dynamic and complete, but the contrast is insufficient and the color transition is not clear enough.